Heather Macfarlane is Assistant Adjunct Professor at Queen’s University in Kingston. 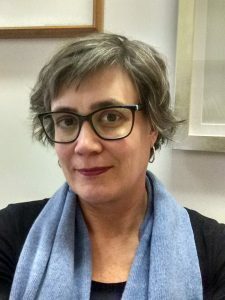 Her work focuses on Canadian and Indigenous literatures, and she has published on road narratives, Indigenous language in theatre, comparative anglo- and francophone literature, and Canadian and Indigenous nationhood. Her book on the road narrative is forthcoming from University of Ottawa Press. The release in 2015 of the final report of the Truth and Reconciliation Commission examining Canada’s Residential School system coincided with the lead-up to the 50th anniversary of the tragic death of Chanie Wenjack, who died trying to escape residential school in 1966. Migmaw singer Willie Dunn’s 1971 song “Charlie Wenjack” and Stó:lōwriter Lee Maracle’s 1976/1990 short story “Charlie” ensured that the story remained in circulation in Indigenous communities, and after the release of the final report of the TRC, Canadian musician Gord Downie and author Joseph Boyden re-invigorated the story and introduced it to Canadians with their own versions of the tragedy. While Dunn and Maracle use strategies of resistance common to the protest movements of the ‘60s and ‘70s to tell Wenjack’s story, Downie and Boyden use strategies of affect to reach their audiences. All four artists are clearly working for change, but what the tellings of the stories ultimately serve to illustrate are two conflicting approaches to reconciliation—the first promoting Indigenous subjectivity, and the second Canadian nationhood.